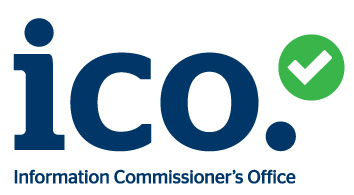 New basic mobile phone service for the elderly is now live. Our O2 or Vodafone hosted service offers convenient simple package with unlimited calls to UK standard numbers, and unlimited text messages. 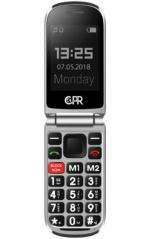 The the new CS900 mobile phone is designed for the elderly in mind to safeguard you or your loved ones while maintaining active independence. 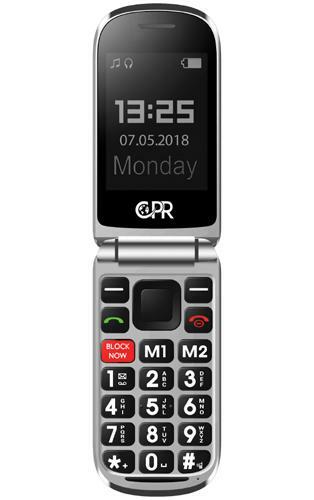 The CS900 mobile phone comes integrated with CPR Call Blocking technology and is already pre-loaded with CPR's nuisance call robocall list. You also have the ability to block nuisance calls at the touch of a button, should you receive one. The quickest way to block calls is by using the big red BLOCK NOW button on the telephone keypad. This will disconnect the call and add that caller to the Black List. You can also add up to 5 numbers in to a White list as well to always bypass the blocker. When the SOS button on the rear of the phone is pressed the CS900 will send an SMS text message saying "Emergency, need help" followed by a phone call to all preset emergency contacts. We believe the quality of our Simple Basic mobile phone service for the elderly should be a simple a possible, and as such, we don't tie you into any long-term contracts. Our Simple mobile telephone service is provided on a monthly rolling contract and can be cancelled with just 30* days' notice. There are NO disconnection fees. Just click the tabs below for more information and cost for our basic mobile phone service. When the SOS button on the rear of the phone is pressed the CS900 will send an SMS text message saying "Emergency, need help" followed by a phone call to all preset emergency contacts on a continuous loop until the call is answered. You can add up to 5 emergency numbers. Turn on the Whitelist: Only the Numbers Pre-Programmed can call and comes Preloaded with CPR's top scam numbers. 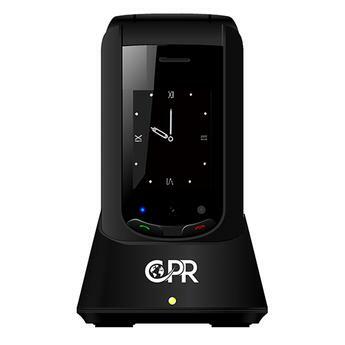 The CPR Call Blocker flip mobile phone is SIM free and comes complete with a charging dock, and UK power supply.